First it was cupcakes, then macarons and now, at least if you believe the recently opened Comaxurros, the sugar-coated revolution will be led by churros, the Spanish doughnut. Owners Lluís and Marc contend that the churro is to pastry as funk is to music: simple, catchy and extremely fun. Eating a crunchy churro absolutely must produce a smile from ear to ear. So if you are looking for a quick sugar fix, head to Comaxurros. In its clean-cut interior lit with pink neon and decorated with chummy illustrated creatures, freshly baked churros with different toppings and fillings await you. Each dish is prepared with an original twist. 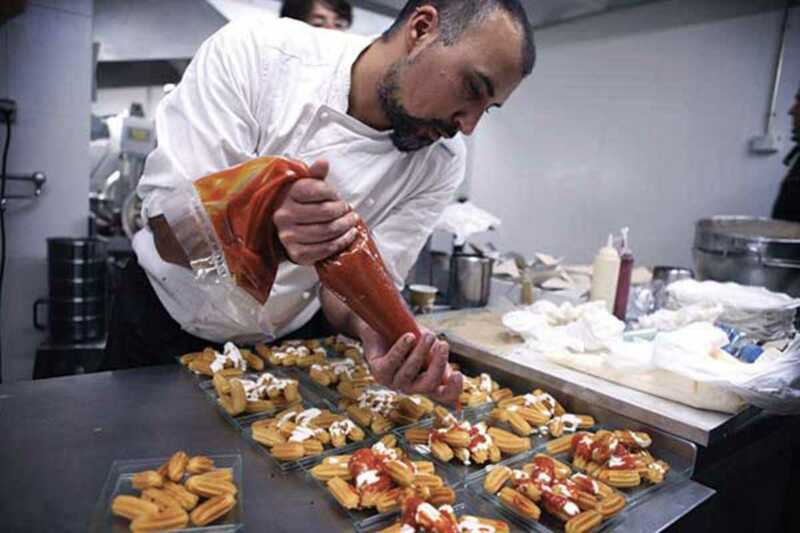 Smack your lips as you try their churrito bravo, a churro version of the popular tapa patatas bravas. Not salty, but deliciously sweet.